A mutual love for beer first connected John Rowley of Rowley Farmhouse Ales in Santa Fe and Eric Erman of Ermanos Craft Beer & Wine Bar in Tucson over a decade ago. And the spirit of collaboration also connected them with fellow funk enthusiasts Matt Brown of Tombstone Brewing Company and Rob Hammelman of Sand-Reckoner Vineyards to collaboratively create a Spontaneous Ale that features the terroir of Cochise County in Arizona using only local ingredients. 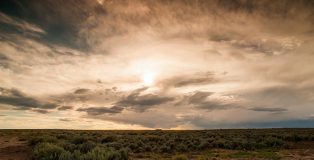 Los Ranchos de Albuquerque in New Mexico is a small village that maintains the charm of rural living despite being surrounded by the city of Albuquerque. 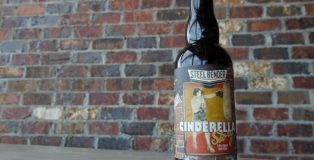 Steel Bender Brewyard is the first licensed (and only) brewery in the village and it has positioned itself as a community gathering place for a variety of occasions including ordinary after-work happy hours and celebratory milestones from baby showers to retirement. 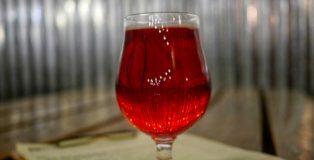 Using seasonal fruits from local orchards for their barrel program and creating “from scratch” pub fare in their full kitchen, there are many reasons why Steel Bender Brewyard should be added to your next beer journey in New Mexico. Santa Fe, New Mexico, was the first capital city in North America. In this historical place with centuries of traditions, there’s a small-scale independent brewery that offers playful twists to classic beer styles. Chantal, their robust French saison, shows this brewery’s passion for brewing. 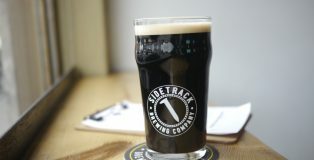 As the first frost approached in Albuquerque, New Mexico, Sidetrack Brewing tapped their cask-conditioned Oatmeal Stout called Dark Engine Stout. This unassuming neighborhood pub in downtown is the only brewery in Albuquerque that serves cask ales from beer engines.